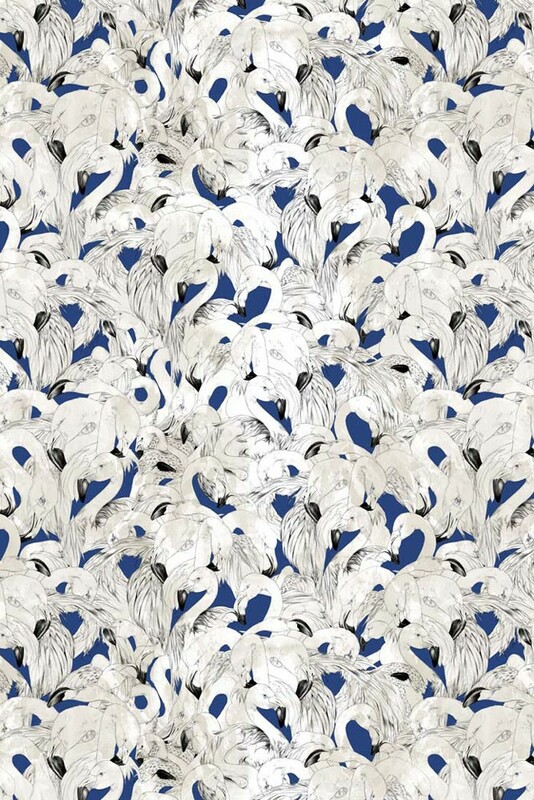 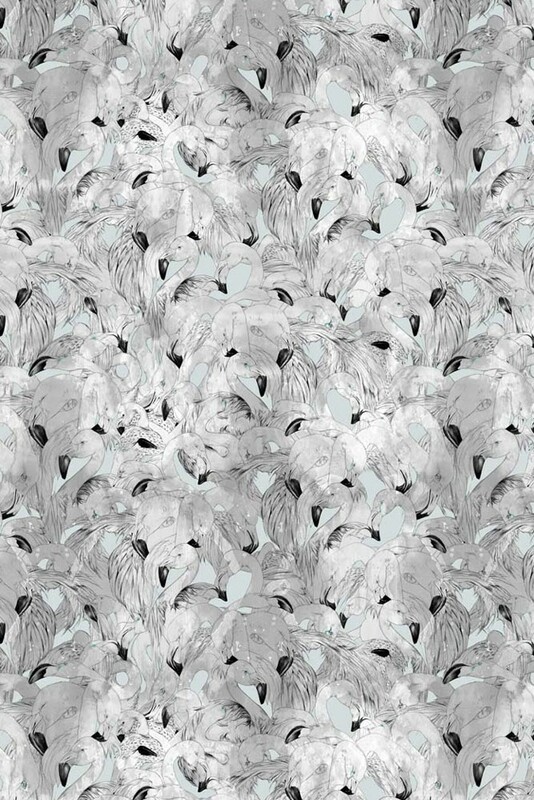 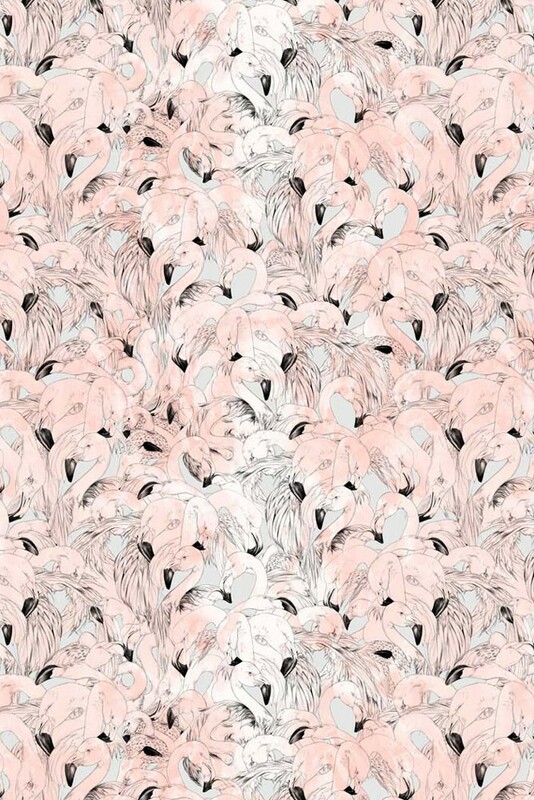 Delivering a colony of artistic styles, 17 Patterns’ Flamingo wallpaper presents a fresh yet traditional interpretation of one of nature’s most inspiring birds. 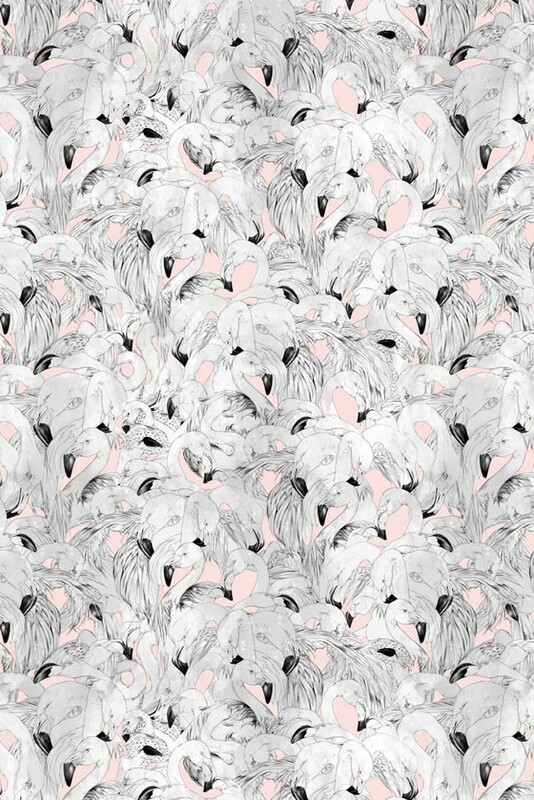 British Art Director Nosca Inc’s masterful curation beautifully accents the carefully crafted pencil work of Athens-born illustrator, Christina K. Swapping the mudflats of Africa for the ink pools of east London, Nosca Inc gently bathes the famously ‘pink’ flamingos in a tarn of pastel hues and soft grey undertones. 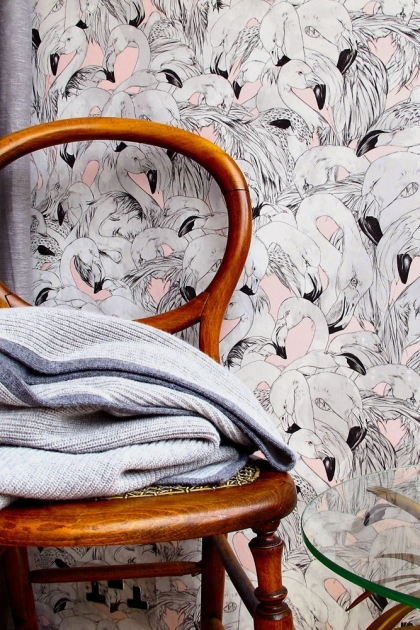 To enable Nosca Inc’s creative thoughts to take flight, respected British graffiti artist Paris joins the flock to juxtapose textural featherings and paint drips against the regal beauty of Christina K’s visually stimulating composition. 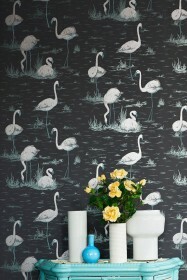 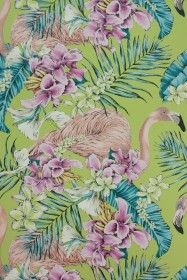 The Flamingo wallpaper is printed in the UK on ethically sourced fibrous paper which has been carefully selected to heighten the wallpaper’s textural characteristic and flamboyant artistry.